Throughout my service I got the opportunity to meet and teach people from all walks of life i.e. doctors, engineers, scientists, army personnel’s, students, teachers, parents, children, farmers, villagers, people who were literate and illiterate. They all came to see what this place was, some knew its significance and some didn’t, some came to have that peace of mind they could not attain anywhere else. It was baffling to see the contrasts and it was even more astounding to see the sheer beauty in all. On a personal note, whilst serving at the Temple, it was simply the first time I was living in the ‘now’, the ‘present moment’. It was a feeling I had never felt before. There was no thinking of past and no thinking of the future. My attention was what was right in front of me and nothing else. To me this was the greatest high I could ever have. I loved it, embraced it and cherished every moment of it. “There is nothing sweeter in the world of existence than prayer, man must live in a state of prayer.” – These words were spoken-out-aloud during the briefing to visitors and it was the pinnacle of service in temple. Work is service, service is worship and worship is prayer. Each day was a prayer, a deep meaningful prayer, and an enriching prayer where we discovered many beautiful aspects about ourselves. Prayer service would take place four times a day for all visitors. Each prayer service entailed writings and versus from different religious texts. Whether the prayers were chanted or spoken, visitors were deeply moved and full of gratitude. 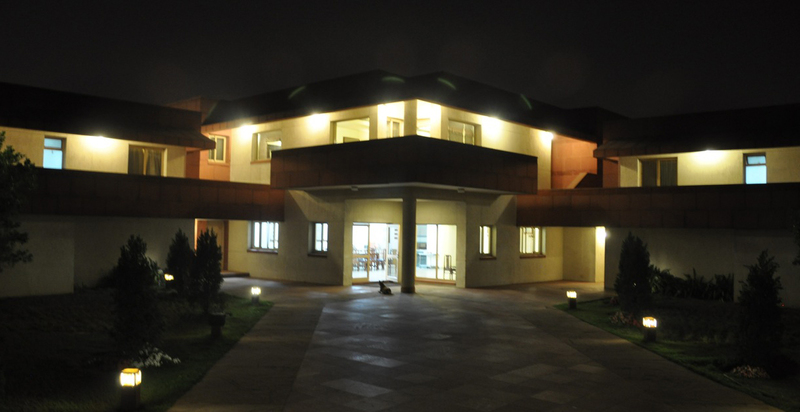 There was something very magical and mystical about having all people under the one roof. It was enigmatic but revealing in its nature. I had the privilege of partaking and documenting a video on the 1st ever Junior Youth campaign that took place in temple grounds. Youth who ranged from the ages of 15 to 18 years that lived in close by communities took part in this 2-week campaign, which then culminated in them becoming Junior Youth animators. These animators then went back to their respective communities to enhance the quality of life by serving and forming their own Junior Youth group. The motto was, “The upliftment of society through the contribution of Youth”. I was able to witness the transformation in these youth, their attitudes towards life before and after, which was nothing short of remarkable. We are told that youth are agents of change and junior youth animators have the role to harness these energies and channel them towards a positive direction. What better way to do this, then to serve their own community! The ample opportunities to teach at temple are of incalculable value. 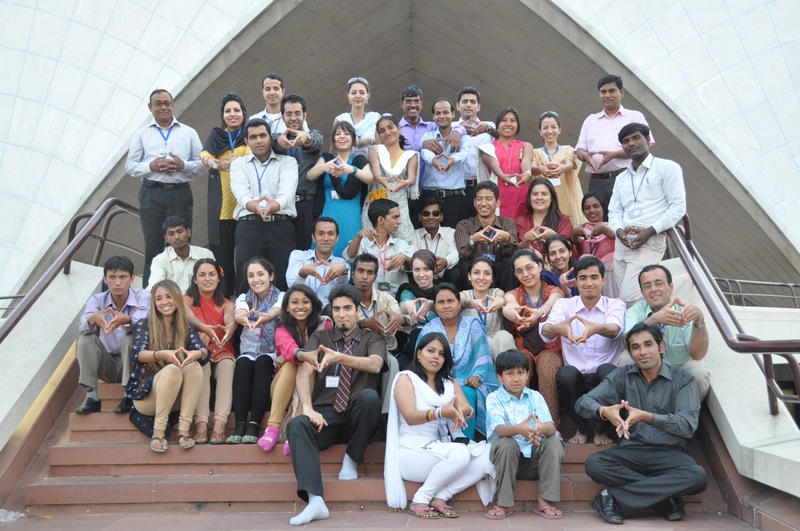 The temple itself acts as a silent teacher and it is prevalent in any Baha’i House of Worship; however no Baha’i gets a greater and infinite opportunity to teach then India, where visitors are coming in by the hundreds and thousands every hour. In many countries teaching the faith is a formidable task and opportunities are far and wide. Where as, in India volunteers are approached directly by visitors wanting to know more about the temple and Faith. The array of questions that are asked by visitors only strengthens and reaffirms a volunteer’s own understanding and knowledge of the faith. There have been many episodes of my service where I have had long stimulated conversations with visitors who were of Muslim, Hindu, Sikh or Christian background. The receptivity and respect they all showed became apparent through meaningful dialogue. This process of healthy dialogue made my love and understanding for all religions grow to the point where I recognized all religions as one. There is no difference in faith to what I have, to what they have, as the spirit and essence is the same. Of course there were also some visitors who found it difficult to except or relate to such a faith with its vision so world embracing. Abdu’l-baha shared that, “Of all the gifts of God the greatest is the gift of Teaching.” The bounty that is derived from teaching a person who is seeking truth is a unique and joyous experience. In many ways you are planting a seed in that person and nurturing it for life. That person will always remember you as their first encounter towards the faith. This in itself is very auspicious and makes you want to work that much harder. I recall on occasions just before temple closing, when visitors would gather around volunteers inquiring about the faith and questions would come from all directions. They were completely consumed when certain facets of the writings were revealed. Furthermore they were stunned to see such diversity of volunteers serving together from different parts of the world. Perhaps it was puzzling for an Indian visitor to be welcomed by a foreigner or perhaps it was the sense of unity and coherency manifested by all volunteers or perhaps it was the reverence of temple being exuded to all. Whatever it was, it brought forth a certain appeal and curiosity in the hearts of visitors. My only regret is the missed opportunities to teach each and everyone. Sometimes what happens as volunteers is, we get so caught up in the moment that we forget. We can’t be blamed but we can realize that such moments are fleeting and with the passage of time will fade, thus each moment is a beautiful gift to share and treasure. This is why reflection is imperative each and everyday. To realize the distinction and potential we can create. 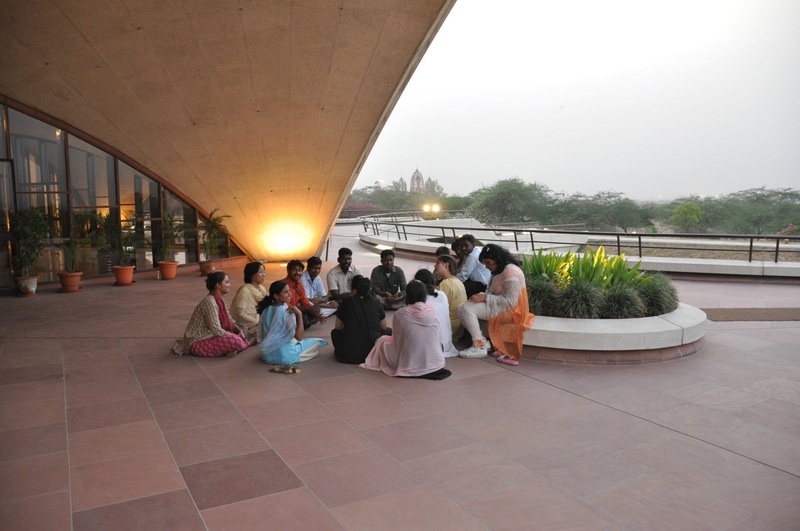 Early in the mornings, volunteers would get up to study Ruhi book 2 with everyone. Many were tired and exhausted from the night before however all the fatigue would fade away as spirits were refreshed and gladdened once the class was in motion. This was a wonderful way to start the day where they could develop their understanding of the writings and then put it into action by sharing it with visitors, a perfect example of reflection, action and consolidation. During the nights after service and dinner complete, volunteers would sit on the famous dormitory steps. This area was a place of solace for many to share stories, play games and snap up as many photos. These were special moments where bonds of friendship were made to last the tests and times. We would take pleasure in each other’s company and keep the atmosphere light and joyous for all. There was a time for everything in service. Before sleeping, I would have meaningful and elevated conversations with roommates. Stories relating to life and ones journey made me realize age was never a criterion for service. We discovered and learnt from one another, no one was better or superior we were all working towards helping each other. Coming back to Australia I was fortunate enough to meet up with a few of the volunteers whom I served with in India. All volunteers seem to have this hidden, underlying understanding of each other when they make eye contact for the 2nd time. I think it’s due to the experience of service, which cannot be readily understood by an outsider. Only a volunteer can understand another volunteer due to the trials and tests both have gone through. A friend who has served for 25 years in temple and someone, whom I dearly look up to, once told me that true friendship that lasts for life and onto the next world is the friendship that is made on spiritual basis. Nothing can destroy it, no doubt, no misunderstanding, no material possession, nothing! Another friend commented before leaving that there is an invisible thread that binds us together while serving and this can only happen if working for a unified cause. Another volunteer commented that service in temple is another world, another reality that cannot be compared to. He described temple service as a state of bliss, only when it is over do you realise the outpouring of love that was received. Below are some quotations, which emanate the importance of service and selflessness. The deeper we reflect upon these the more we realise it is the duty of each individual to sacrifice some part of his or her time for the betterment of the world. This is the only way transformation will transpire in the world we live in. There is a beautiful quote by Abdul’baha I would like to end on regarding service at any Baha’i House of Worship, which I hope inspires friends to serve in such a blessed place. 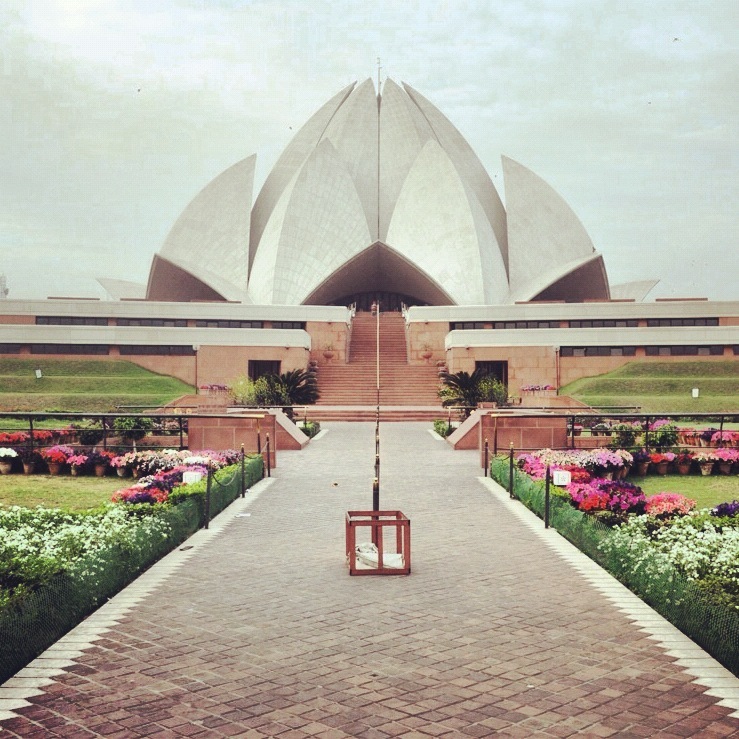 The Baha’i Temple in India receives an average of 10 to 15,000 visitors per day. On Sundays and Public Holidays you can expect visitors ranging from 20 to 40,000, if not more. Nowhere else in the world do I know of an edifice that allows you to come in, free of charge with that many people. Strictly, no one is allowed to pay or make any such donation. 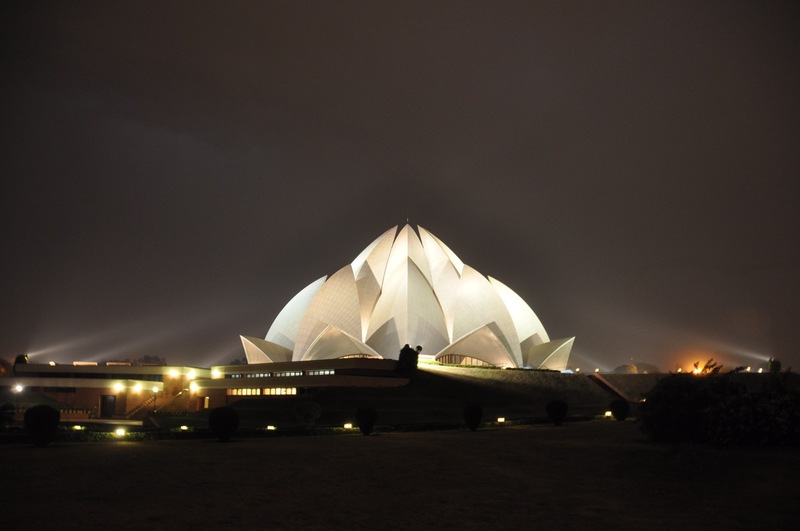 The temples are maintained by funds contributed only by the Baha’is, residing all across the world. It must also be noted that all Baha’i Temples are made first and foremost for the community in large and then for the Baha’is. Its prime motive is to bring together people of all race, class, culture, creed, nationality and religions in oneness and unity for the dawning place of the remembrance of God. “Lord, send down Thy benediction on whosoever serves this edifice . . . This prayer revealed the ideas, sentiments and qualities a volunteer would need for serving at the Baha’i House of Worship. This was the standard of magnanimity required to affect visitors to make them turn and question whom we were. Most volunteer’s who do serve, serve for a minimum of one month; some serve for 2 or 3 months or even a whole year and then go back to their respective country of origin. No matter how long a person’s service may be, each and every moment of it is fleeting and precious. Before they realize it, it is the end and no one wants to leave, because ones experience is immeasurable. Volunteers form a certain attachment to the place, which is incomprehensible to grasp. For many volunteers service is a turning point as they acquire spiritual susceptibilities that they felt they could not achieve. It is empowering and at the same time inspiring to see such transformation right under ones eye, as I have seen. Wherever you see life there exists love and unity, just like there exists life in the temple that is codependent on volunteers. Throughout the day volunteers are given set posts and responsibilities and to keep the flow of work going in a seemly manner they are rotated every hour. These posts are set in temple porch, entrance, inside, exit and information centre. The approach is very organic; visitors are welcomed and put in lines ready to be briefed. They then go inside, sit and pray as long as they desire. Once visitors exit they can collect pamphlets of their language. Many visitors from various countries are astonished to find pamphlets in their native language. It is a humbling experience to see their faces light up with joy. 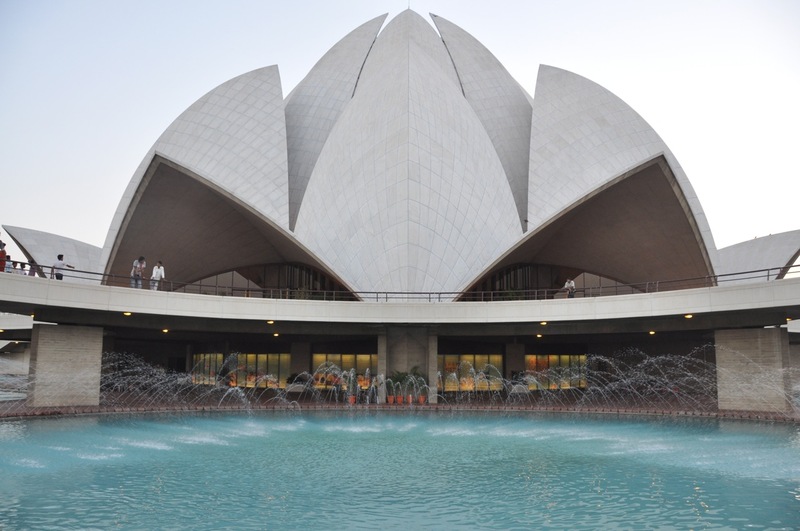 After that, visitors can choose to visit information centre or observe the panel exhibition down stairs or even bask in the sun at the steps of the lotus pool. 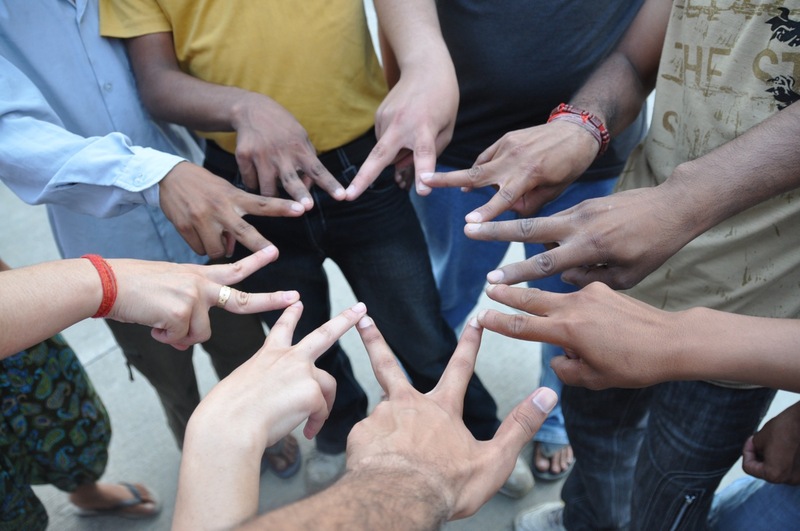 After an exhaustive and hard working day of service, all volunteers would assemble together for a reflection meeting. This was a time to reflect on the day’s event, identify needs, build capacity in each other and ensure we were on the same level. Volunteers would sit in a circle; share their story of struggles, challenges, learning’s, areas of improvements, teachings and questions they received from visitors that they had no answer to. These meetings were some of the most precious and priceless recollections I have. Reflection is a very powerful instrument; Baha’u’llah says, “One hour’s reflection is preferable to seventy years of pious worship.” 3 Through consultation, consolidation and elevated conversations we would become so united and aware of each other. 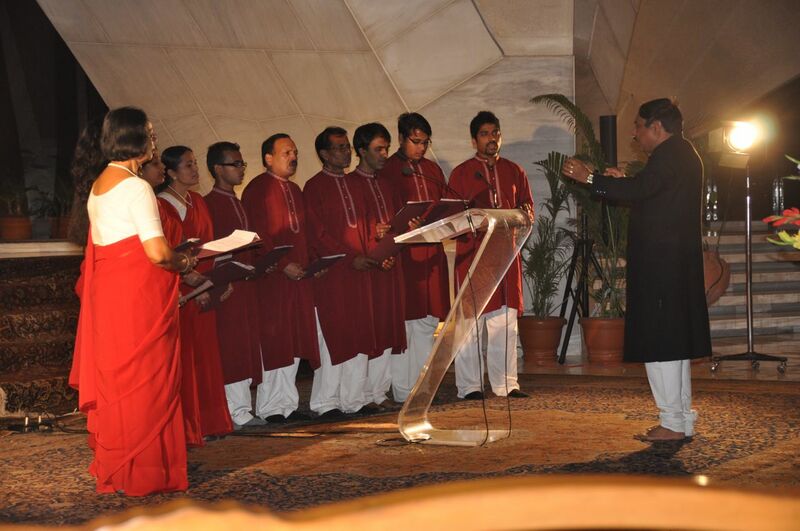 Reflections always began with a prayer chanted in Hindi, namely – “God is sufficient unto me…” and ended in English. When volunteers chanted this in harmony the four walls would echo for minutes on end and we would sit in silence trying to digest this beauty. It was a feeling of complete bliss and serenity. A lot of gratitude goes towards the dorm parents who on the 1st day took us in and showered us with love and kindness. With patience and forbearance they showed us the way to enhance our service. If volunteers were not upholding the cleanness of rooms etc, they were readily told by dorm parents to keep that of utmost priority. Such simple actions made us appreciate and value the importance of being organised and prioritizing. It was because of them we never missed home or family; there was a real sense of kinship. I had actually started my service on the 1st day of fasting, which in itself was a fantastic occurrence. Along with the fasting came many Baha’i Holy day celebrations, and those too were magnificent occasions. One defining moment I have of my service, which is so beautifully and vividly captured in my mind is when my post was in entrance. My duty was to greet and welcome with both hands put together each and everyone. When visitors would make their way up and form lines, I would smile and look right into their eyes with utmost humility and love. As this happened over a period of time they all began to emulate the same sentiments I was giving them. With gradual ease, like a drop of rain submerging into an ocean it occurred to me, that God exists in all. When I was looking right into each and every visitor’s eyes, I was looking right into God, the purity and goodness that exist in all. This beautiful notion gave me a warm feeling inside; that I am not alone; my journey in this world may be a personal one, but I am one with all.